Living below your means is a change in mindset. It’s practicing financial discipline – it’s an ethos. A foundation that will provide you freedom in the rest of your life. Freedom to choose, to vacation, to live the life you desire. But more than that, the practice of living below your means will show you that happiness doesn’t come with material possessions. Happiness and fulfillment come in the journey. And it’s this journey of being financially disciplined that will allow all of our following financial pillars to exist. That’s all well and good, but let’s be honest, budgets vary from family-to-family as do the outcomes of the choices we all make. Another thing… If it were as easy as the paragraph above, why aren’t we all millionaires? Learning to live below your means is simple… Not easy. We’re talking tough choices, discipline, and hard work. But, armed with the right tools and preparation, that millionaire above may be you someday. Here are the 5 practices I use consistently that help us learn to live below our means. 1) Understand your education never stops (… and 1A – Stay humble). What’s below is a true story. It was a majority of luck combined with some good decision making and hard work that helped me save $10k by my high school graduation. Tough jobs with long hours, birthday money throughout my life, and money saved during my graduation party itself all contributed to the total. I felt accomplished (even though a large chunk of that change was literally given to me – luck). “How many 18 year-olds have that amount of cash saved up?” I thought to myself. “Confident” was starting to fade away in my rear-view mirror while I quickly approached “cocky.” Not the best path. Because of the years it took to save that money, I wanted it to be meaningful at some point in my life. Truthfully, I had it eyed up for an eventual down payment on my first house. The challenge, then, was to see what I could do with that cash from 18 years-old until 20-something…? What could I turn $10k into? My investment acumen was non-existent, I didn’t know much about entrepreneurship (which was probably a good thing at the time), and a savings account seemed like a decent investment opportunity to me. Luckily, I had financially savvy parents that guided me toward a knowledgeable mentor – my grandfather. Grandpa had been retired for all of my adult life and aside from sports and family, his passions centered around investing (they still do). In a few days, Grandpa had me set up with an individual brokerage account through Fidelity, and before too long we were talking emerging markets, value stocks, and mutual funds. We did pretty well. As $10k trended toward $11k, my confidence grew. After about a year, in 2005, my ten-thousand was fifteen. Grandpa would send me his opinions and research, I’d look them over, then make the purchase/sale. I had myself conned into thinking I was the investment genius making all the right moves. By September of 2006, grandpa had my investments guided up from $10k to $29,500! It was amazing! Almost every day, I’d log in, see that I was making money and think, “Why doesn’t everyone do this? It’s like we’re printing money!” What could go wrong?? The Great Recession… That’s what. December 2007 wasn’t the same old, money-printing month. My $29.5k was down to ~$26k and I was in a constant state of panic. Daily calls with grandpa would cycle from, “This will turn around sometime soon,” to, “It may be time to get out.” Grandpa told me what his personal account plans were and then left me to make my own decision in this unprecedented time. If he didn’t know what would happen, I surely had no clue. With the lack of an obvious choice, I chose not to act, and in effect, stayed in the market. My fear of the unknown was rooted in a lack of knowledge and education, all of which failed me when the game got competitive. During the great times leading up to ’07, I had relied entirely on grandpa to do the work and make the calls. I didn’t learn, I recited. I vowed then to never make that mistake again with something so important. What did it cost me? About twenty-two thousand dollars… I don’t know your current life situation, but I’d imagine that for most 22 year-olds that’s quite a dear price. My investment account was around $7k at its worst. It took me 8 years to get over the fear of the market and ever-so-slightly dip my toes back into turn my money back into $26k – what Monica and I used as the down payment for our house. That long and winding road taught me so many lessons and that journey is probably the main reason for this blog. Most of all, losing $22k taught me the importance of educating yourself constantly. As markets and the environments change, so do your tactics. If I would’ve taken the time to study what was happening in 2007-’08, maybe I would have made a better decision to get out before things got catastrophic. On the other hand, I paid that money to learn some of the most valuable lessons finances can teach. What I do know for sure is that I’ll never stop learning – and neither should you. By constantly learning to live below your means, you’ll have the ability to buffer your finances against huge catastrophes lurking ahead. The more you learn, the more effective you can become. Part of continuing your financial education is actually applying what you learn. The events outlined above helped me to realize I didn’t know jack about mutual funds and stocks. So what do I do now? A) I only invest in things I understand, B) I take the time to research possible investments and C) if something doesn’t feel right or I don’t think that bonds are a good current investment, for example, then I take our money elsewhere. Gaining knowledge is accumulating trust in your own judgment. If you’ve done your homework, then you should actually practice what you’re preaching. The Pew Charitable Trusts found that in 2014, 80% of Americans had some form of debt. Granted, I have written about distinguishing good debt from bad, but, man… That’s a high percentage. Let’s keep this in mind. One of the hardest budget-type things for Monica and I to do when we first started out was saying ‘no’ to a night out with friends or family. We used the, “…just not feeling it…” line more often than I’d care to admit. Maybe that was because, “Well, we’re starting a budget because of a quarter of a million dollars in student loans, combined with one job, rent, a car payment, groceries, insurance, …, and honestly, a night out on the town wasn’t anywhere near the cut. $40 for dinner?? That doesn’t exist! … But thanks for the offer ;),” was more than they needed or wanted to hear. You get the idea. We’re a group of social humans, granted, which is why saying ‘no’ to a gathering can be so difficult. You enjoy the experiences (depending on the friends), a gathering is good for you, it’s fun, but a dinner out costs money. In order to get ahead financially, especially when money is tight and you’re first starting out, we’ve found that going against the grain is commonly what’s needed. I’ve used the dinner with friends example but the same holds true for buying the thing you think you deserve only to get more inundated with the later payments. New car versus gently used. Name brand versus generic… Do you need the new item? If not, just say ‘no.’ At first, you may feel awkward and judged, but soon it’ll be invigorating knowing that this one word (no) can keep so much of your hard earned cash in your pocket – where it belongs. And more savings = more freedom later in life. Failure to decide is not a safe play. By not deciding, you default to no change from the current course. Maybe that’ll work out and maybe it won’t… I’d say your chances are less than good. Let me give you an example. After graduating undergrad with no student loans and a paid graduate assistantship lined up, I chose the natural route – to reward my hard work. 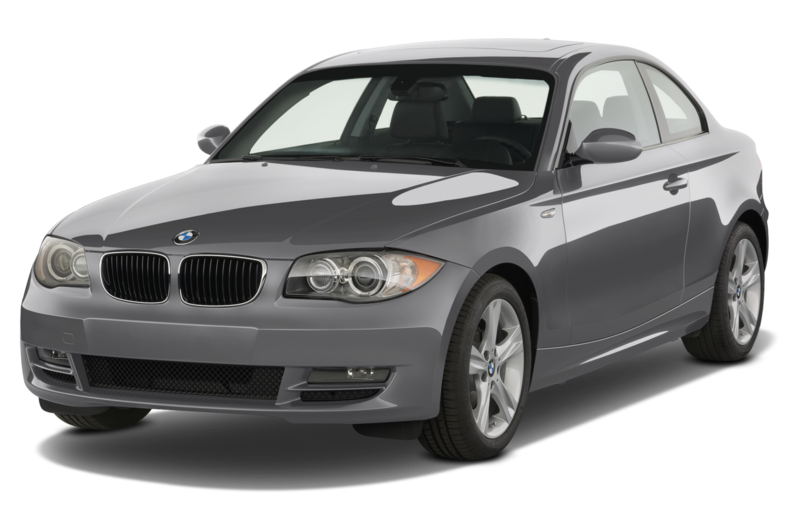 I leased a new BMW 128i, and frankly, I’ve never been sharper looking behind the wheel (I got that phrase from my grandma). Notice I said graduate assistantship rather than a 6-figure prestigious job that could afford the $427 monthly payment… Important factor. It was a 3-year lease and after about 14 months, the payments were eating away at my savings. Sure, I could’ve let it bleed me dry for the remainder of the lease term, but dumping the payment for a more reasonable option would’ve definitely been the smart choice. Had I decided not to act, I would’ve chosen to accept the remainder of the payments and suffer the consequences that followed. Alternatively, I could make the tough choice, take the hit to my pride, and get rid of the tough car (also from grandma). It was a stupid decision to lease the car I couldn’t afford in the first place, but I definitely felt like I looked the part behind the wheel. I decided the $5,124 per year was more valuable than the few awkward conversations and looks that lasted just a minute and had no real impact on my life. I found an interested 3rd party that was more than happy to sublease the vehicle. I took a portion of the money I had in savings and bought the Camry I still drive today. That was 8 years ago. My car is completely paid for (no payments), is safe, durable (hit a deer going 70 and still running strong), and was one of the best financial decisions I’ve made. It’s simple to make the tough choice… Not always easy. “Giving up” 20% of your paycheck now to put toward savings is not enjoyable. Especially if the budget is tight, to begin with. On the other hand, having nothing to retire on would also be a nightmare. It’s also difficult to save for a vacation next year without deciding now to put a little cash away every month. Deciding to forgo the instant gratification now for the delayed satisfaction later is what learning to live below your means is all about. Finding the appropriate balance for your situation will be the final key. Don’t let yourself get caught up in the, ‘Now, Now! More, more!’ culture that will deplete your savings and push back your possible retirement age. Freedom requires sacrifice. The good news: You’re not losing money in interest to some lender, you’re investing in your own future and, hopefully, you’ll earn a decent return on that savings! To live below your means it’s vital to educate yourself, take your own advice, say ‘no’ even though everyone else is saying ‘yes,’ make the difficult decision, and plan with the long-term in mind. These things are all simple to do, just not easy. But just like working out, the more you do them the stronger your financial muscles will get. And before too long, living below your means will be second nature. Some great lessons learned in this post. Your ability to recognize these options have contributed to your success thanks for sharing. Thank you, Theresa – for reading and for your comment. Sometimes it’s the lessons learned in the toughest times that carry the most weight. I’m just fortunate to have been so well supported growing up. Have a great week!